The EU on Wednesday (20 July) unveiled national targets for cutting greenhouse gases by 2030, placing the burden on richer northern countries including exit-bound Britain to help meet the bloc’s UN goal. The plans for the 28 EU member states put the onus on Sweden, Luxembourg, Finland, Denmark, Germany, Britain, France and Austria as the bloc seeks to meet its commitment to cut emissions by 40% over 1990 levels. The Effort Sharing Regulation covers contributions from sectors such as transport and agriculture, which are not covered by the EU’s Emissions Trading System. The countries must now approve the plans by the European Commission, although it is unclear how Britain will react following its shock 23 June referendum vote to leave the EU. The EU set the 2030 target as its overall pledge in the UN’s climate agreement, reached in Paris last December. 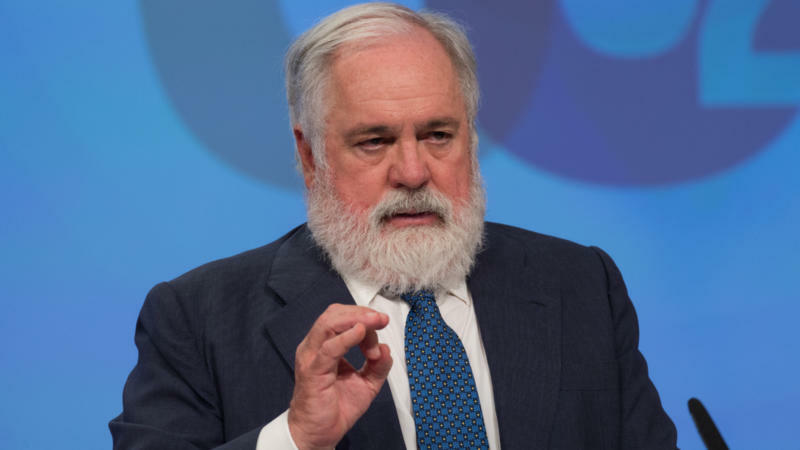 “The national binding targets we are proposing are fair, flexible and realistic,” Cañete said. Under the targets, which are based on economic growth, Sweden and tiny Luxembourg must cut emissions by 40% over 2005 levels, while Finland and Denmark must cut emissions by 39% and powerhouse Germany by 38%. Britain and France are asked to cut emissions by 37% while Netherlands and Austria should cut by 36%, according to the numbers released by the European Commission, the EU executive. Britain had to be included for legal reasons as it will remain a member of the EU for at least two years after it officially triggers its divorce from the bloc, sources said — adding that the adoption of the targets will be a lengthy process in any case. In contrast, Bulgaria, the poorest state in the bloc, was given an emissions reductions target of 0%, while Romania, Latvia, Croatia, Poland, Hungary and Lithuania are all set below 10%. But the system allows for flexibility. Member states can reduce emissions jointly across a range of sectors and over time. The proposal aims to set binding objectives for member states from 2021 until 2030. The proposals – which also allow for member states to buy and sell emissions allocations – will be debated by the member states and the European Parliament. The non-government organisation World Wildlife Fund (WWF) said the proposals fall short of the ambitions Brussels set at the Paris summit. “Not only is the Commission astoundingly out-of-synch with international climate commitments, but it has also included ‘loopholes’ in this proposal which will allow countries to cheat their way out of real climate action,” said Imke Luebbeke, head of climate and energy at the WWF European Policy.